Hello hello lovelies! Today I want to share a product with you that I have been in love with for about a year now. 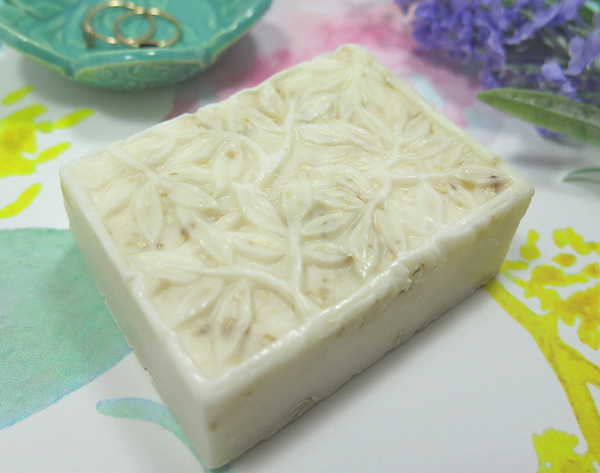 It's the Oatmeal Peach Blossom Soap from Finery Soaps & Luxuries! So full disclosure, I was introduced to these products because one of my coworkers owns the shop and she gave me my first sample for free. But I fell in love with her soaps and have since re-bought this one for myself and bought a whole bunch of soaps and bath bombs for my mom (and she also fell in love with them). They just smell and work so well that once you try one you can't stop, I swear! So this post isn't sponsored or made with samples, but a sample is how I was introduced to the brand! 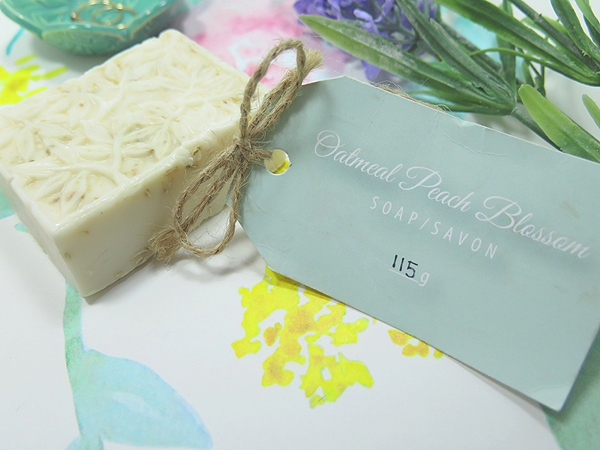 Description: Soothe away the day with our relaxing Oatmeal Peach Blossom goat milk soap. 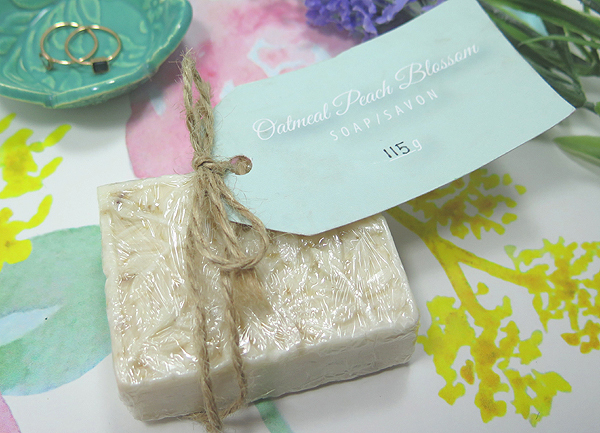 This soap is gently exfoliating, made with real whole oats, and leaves your skin lightly scented with peach blossoms. Goat's milk contains alpha-hydroxy acids, like lactic acid, that gently remove dead skin cells while also being packed with essential nutrients and vitamins that help to maintain healthy skin. Ingredients: Water, glycerin, sodium stearate, sorbitol, sodium laurate, propylene glycol, sodium laureth sulfate, goats milk, sodium lauryl sulfate, sodium chloride, stearic acid, lauric acid, titanium dioxide, pentasodium pentetate, tetrasodium etidronate, oatmeal, parfum, yellow 6. So the quality is what makes me keep coming back to this soap. I usually hate bars of soap because I find them super drying, but this one is so moisturizing and smells so freaking good that I am just absolutely in love. I'm a liquid soap devotee but this soap makes me question that! And did I mention the scent enough? OH GOSH. You guys it smells so good, the peach blossom scent is strong but it doesn't upset my allergies at all, and as time goes on the scent goes down (though it never fully goes away, even when you're down to a sliver). So imo the quality is awesome. And all products are also handmade in smaller batches which I really like. Each of the soaps I've gotten and ordered for others has been wrapped in cling wrap with a tag attached that indicates the product. This one had some lovely twine string, and when I ordered a bunch for my Mom for Christmas they came packaged securely in a box with colourful packing. I mean, I keep buying from this brand because overall I think the quality of product you get for the price is amazing, and they have so many interesting combinations of products and scents. I got my mom the lemon poppyseed soap at one point and that's one I'm planning on picking up in the future, too. Mmm lemon poppyseed.... It sounds so yummy! 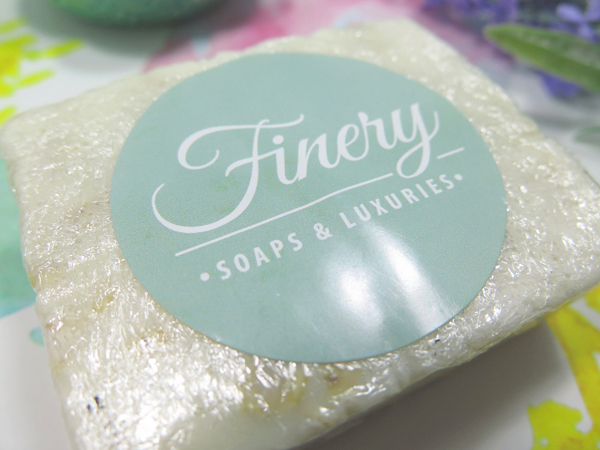 Have you ever tried any products from Finery Soaps & Luxuries? 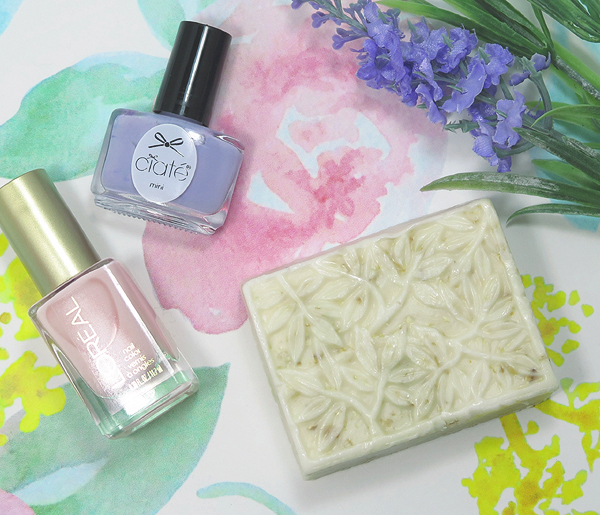 Are you a bar soap or liquid soap fan? Let me know! Looks like a nice bar of soap. The ingredients sound great and love you are supporting a small business! This soap sounds lovely! It looks beautiful and I love soaps made with goats milk! I have to try some stuff from this shop! This one specifically sounds like it smells amazing! I am big on handmade soaps. The design on this is so unique. I've got a lot of soaps in my stash waiting but I will add this to my to try list!